Historically, medical care has focused on treating injuries or illnesses. Doctors and hospitals are skilled at offering acute care to people who are already suffering from a health problem, but they tend to falter when it comes to encouraging lifestyle changes that would improve patients’ overall health. Now, we’re seeing a shift in focus as employers, hospitals, and other industry stakeholders try to help people manage their health and prevent illnesses from developing in the first place. Chris Kresser: Vipul, Pat, and Laura, thank you so much for being with me today. Vipul Vyas: It’s a pleasure. Pat Charmel: Appreciate the opportunity. Chris Kresser: So, I’m really looking forward to this conversation. Most of the discussion that I’ve had around this topic has been with people who are working outside of the conventional medical system. And certainly those perspectives are valuable, and I think we all agree that we need to make significant changes to the current system. But what I’ve certainly come to realize over the past several years is that while Functional Medicine on its own can make an impact and people working in private practice and using that model can make a difference to really scale this and have the impact that we need to have on a population health scale, we need to change the system from the inside out. And that’s why I’m so excited to have this conversation today. So let’s start with the first question. Where has healthcare historically focused and what have the traditional economic drivers of healthcare been in the U.S.? Pat, if you could get us started, that would be great, and Vipul and Laura, if you want to jump in, feel free. Pat Charmel: Well, thanks, Chris. Obviously, the U.S. healthcare system has been focused on, or at least the bulk of the resource allocation has been focused on, for the delivery of acute care. Let me just sort of talk about it more generally. Most of the focus is, when we talk about spending in healthcare, and the costs compared to, say, other industrialized countries, it’s been looking at the more expensive inputs. Things like hospitalization, for instance, or high-cost pharmaceutical treatment. And if you look at the U.S., our model has been focused essentially on taking care of sick people. And the incentives in the system pay higher for those more complex interventions. Has conventional medicine finally seen the light? Find out how some progressive leaders in hospitals, primary care groups, and corporations are driving the shift from treatment to prevention. So, whether it’s high-cost diagnostics, or whether it’s complex surgery, or it’s the treatment of acutely ill patients with higher complexity … And so our system has actually focused on that and built capabilities around that following those incentives. And we do that pretty well, although some would say it may not be as efficient as it should be and it’s not as consistent as it should be because there’s still a lot of variation around how we take care of sick people. And because of that variation, there are some differences in terms of cost and quality in terms of outcomes between organizations. But generally speaking, we do that pretty well. Pat Charmel: And again, I’m sure we’ll talk about the fact whether that model is viable long term because most of the focus has been on raising questions about whether that’s sustainable or not. Chris Kresser: Right. So our system’s been primarily, it sounds like, focused on acute care, acute interventions. If we look at disease on the spectrum where you have perfect health on the left and death on the right, it’s a system that really, it does a pretty good job at intervening at the far right end of that spectrum. People already have disease and they’re already at the point where they need that kind of acute care. Chris Kresser: So let’s actually talk about how sustainable that is and how the these economic drivers are changing. Where are we at here in 2018 with the system that we have? Pat Charmel: Well, let’s talk about how the system gets paid for in the U.S., and we can get into the specifics in terms of our ability to treat disease because that’s where most of the innovation has been, whether it’s been in terms of devices or pharmaceuticals, and we can talk about the cost of those inputs here versus elsewhere. But the question of sustainability, the cost of providing that kind of care, has been growing faster than the capacity of the individuals that pay for it to actually pay for it. So who is that, right? So we’re talking about government if it’s the care of the elderly, the Medicare program. And if it’s the care of the indigent, it’s states and the federal government, right? So, through the Medicaid program. And then the rest is essentially employer-provided healthcare through those who work for employers who provide health insurance coverage. And our system has been one of cross-subsidies. And it’s not something that gets talked about a lot, but generally speaking, when the government buys healthcare from providers, doctors, and hospitals, it essentially pays less than the actual cost of providing that care. Now you may say that the cost is higher than it should be, but the cost is the cost and they pay less. So the employer-provided insurance is through commercial insurance companies, and generally speaking, they pay more than the cost. And it’s not insignificant. It’s 30, 40, 50 percent more than the actual cost of that care. So the cost of delivering that care by the provider, the commercial insurance pays much more than that because they’re subsidizing the cost based on the shortfall by government payers who pay less. So what did they do in response? They could’ve said to the health insurers, “We are just not going to pay this and you’ve got to figure out another way to buy care less expensive than what we’re buying now.” But no, they didn’t. In the short term, they pushed more of the cost onto their employee in the form of higher deductibles or higher share of premium, right? So, the average employer in the U.S. is asking its employees to pay 30 percent of the premium. In addition to that—and that premium for a family policy, by the way, could be as much as $20,000 and sometimes more—and then after you pay your 30 percent of $20,000, or $6,000 in payroll deduction, in an environment where wages are not growing, you’re actually seeing an increase of what you’re paying out of your weekly pay toward your share of the premium. That’s a problem. Then once you pay that, you get the privilege of having a $3,000 or $5,000, or even more, deductible, which means that your insurance coverage that you paid for through your payroll deduction doesn’t kick in until you’ve paid $5,000 out of pocket. Chris Kresser: Yeah, and then depending on your plan, sometimes you still have a copay after that. Pat Charmel: On top of that. So now the average employee that has employer-provided health insurance is paying $0.42 of every dollar out of their own pocket. So the question is, is that sustainable? That’s what’s really changed is that employers couldn’t afford it, so they pushed it onto the employee. The employee is saying literally, “I cannot afford this. I don’t want your health insurance.” And the penalty for not taking insurance is not that large. So now it’s backing up. So they’ve gone back to the employer and said, “I can’t afford this anymore. So you’re going to have to shoulder this burden, Mr. Employer.” And they’re saying, “We can’t afford it,” and they’re finally going back to the health insurers, who by the way, were part of this conspiracy because they never really wanted premiums to go down. Pat Charmel: Right? Why would they want it? If you get 15 percent of the premium for overhead and profit, why would you want the premium to go down? As long as somebody’s willing to pay that premium, you want the premium to go up. That was kind of the dirty little secret. So the insurers, when they sat down with my hospital as an employer, and we have 1,600 employees and spend a lot of money on health insurance, they were always very sympathetic. They always had a sympathetic demeanor when we talked about the costs going up, and kind of … it’s interesting when you’re a provider and an employer of healthcare. But at the same time, you say, “Hey, it is what it is.” Now it’s at the point where those that are actually paying are saying, “We cannot afford it anymore.” And you have state governments, especially after Medicaid expansion, pushing back and saying, “We’ve got to change the incentive.” Employers who are now becoming somewhat enlightened and saying, “There’s got to be a way if we can no longer just push the cost onto our employees, we’ve got to figure out a way to actually make care less expensive.” In my view, that’s what’s sort of fueling kind of the innovation around a different approach. Pat Charmel: And providers who were part of the conspiracy as well because they knew that the insurer was going to continue to raise the premium, and if they’re getting a fixed share of that premium themselves, they were sympathetic, but didn’t change. Now we’re forced to change because the current model is not sustainable. And as much as we’d like to continue to get fee-for-service and take care of sick people, which covers the overhead, we’re realizing that we actually have to be partners with the employer and the insurer and the employee or the member or the consumer to basically work together to say, “Folks, we could wait for people to get sick and then try and do a whole bunch of stuff here, but nobody can afford to pay for that. So let’s get in on the front end now.” And now the problem with that is that disrupts your business model and it’s pretty scary. If you’re a provider with a lot of fixed costs, how do you shoulder that burden during the transition period? How do you reduce your operating costs so you can live with the low utilization that results from actually keeping people healthy? Chris Kresser: So, let me see if I can summarize this briefly. So, historically, there’s been a misalignment of incentives where you have these various players—the providers, the payers and companies—who weren’t necessarily aligned in terms of their best interests. And so that led to a lot of inefficiencies and excess costs, and it got us to this point where we have a system that’s inherently unsustainable. And what’s happening now, it sounds like, is there’s a shift towards more aligned incentives and maybe even opportunities where providers and payers and employers can work together, or at least where their incentives are now aligned and there can be more efficiencies created there. Pat Charmel: Yeah, Chris, I think you have it. I don’t know that the incentives are quite aligned yet, but I think they have to be if we’re going to get through this. Because that’s really the only way that it’ll work. If we’re … each of the stakeholders is trying to maximize their position at somebody else’s expense, we’ll basically come up with another unsustainable solution. I think it is that question, and then the question also is what is the role, the historical role, the traditional role of each of these individuals and if that needs to change. What’s the payer’s role? Pat Charmel: The payer used to be, I’m a health maintenance organization. Inherent in that name was we actually manage care. And they really didn’t because there really wasn’t an incentive to do that. And by the way, even if there was, how effective are they at doing that truly? And what’s the relationship between a health plan and a consumer? And do you trust your health plan to manage your care? Chris Kresser: Most people would say no, for sure. I want to talk more about that. Vipul, you’ve been really instrumental in educating me about this landscape, which I appreciate. Let’s talk a little bit more about incentives because, of course, in most industries, there is an incentive to perform better and more efficiently, and you’re rewarded for that. That hasn’t really always traditionally been the case in many areas of healthcare. So, what kind of changes are we seeing now in healthcare to move more towards this more of an incentive-based system of value-based care? I’ve talked about companies like Iora Health with my audience that are using capitated payments for diabetes prevention. So, can you give us a kind of overview of some of the broader changes that are happening here? Vipul Vyas: I think Pat can obviously weigh in, in a much more deeper level as well. But I think what you’re seeing, Pat just shared it, is that as a risk has sort of cascaded from the insurance company—and I would actually argue to Pat’s point around the insurance company taking a 15 percent cut off the top, the insurance company really isn’t much of an insurance company. More they’re a transaction agent, similar to Visa. They own the network, they collect the premiums, they make the payments, they handle the claims. But in the end they’re not really assuming risk like they historically have. That’s been largely pushed to employers. And many people may not realize, though I’m sure many do, that the employer typically, especially large employers, self-insure. Meaning they’re the ones taking the risk, and the insurance company is simply a transaction facilitator. And so to Pat’s previous point, there’s a significant interest on the part of the employer to reduce these costs. So in the end, it’s the employee, and then by extension, the employer, who’s probably the prime economic driver saying, “I can’t afford this anymore.” I’m sure the federal and state governments are, to Pat’s point, saying the same thing, saying, “I can’t afford this anymore.” Therefore there’s a competitive market emerging in terms of value-based care that says, “If someone comes along with a plan that says they’re going to be cheaper because their cost of production is lower,” and again, kind of referring back to Pat’s point about changing your cost structure, if you’re a provider or health system, if you can change your cost structure and create a competitive advantage by way of being able to price lower and going to an employer and saying, “Look, I can deliver the same set of services as my local large competitor at a lower price in partnership with an insurance plan. And then I can actively manage your employee population to be healthy as a sweetener to keep those costs down or at least keep the growth of those costs in check or at a manageable level,” then that becomes an economically attractive option for the employer. And so creating those bundles and making that programmatic and scalable is sort of the key evolution that we’re going to see. When it comes to the general market and what the ACA did, it really fosters some innovations I think the market was going to kind of fall to anyway, just given the premiums rising and healthcare costs rising, and there’s just economic pressure to do something. Because the paying entities, the government, employers, employees just didn’t have any more money in their pocket to pick, has driven this sort of capitated payments. And capitated payments is where eventually the risk is taken by the entity that can probably manage it the best, and that’s the providers. So instead of paying $1,000 to Aetna and them keeping it, it basically flows to the provider to, say, Aetna takes their 15 percent off the top, and there’s $850 that goes to the provider. And the provider’s then told for $850 a month keep this person healthy. If they spend more than $850 a month on average, then you lose. If they spend less, then that’s your margin. And that’s where things are headed. Pat can comment on that much more intelligently, but that’s the gist of I think some of the drivers that are emerging. 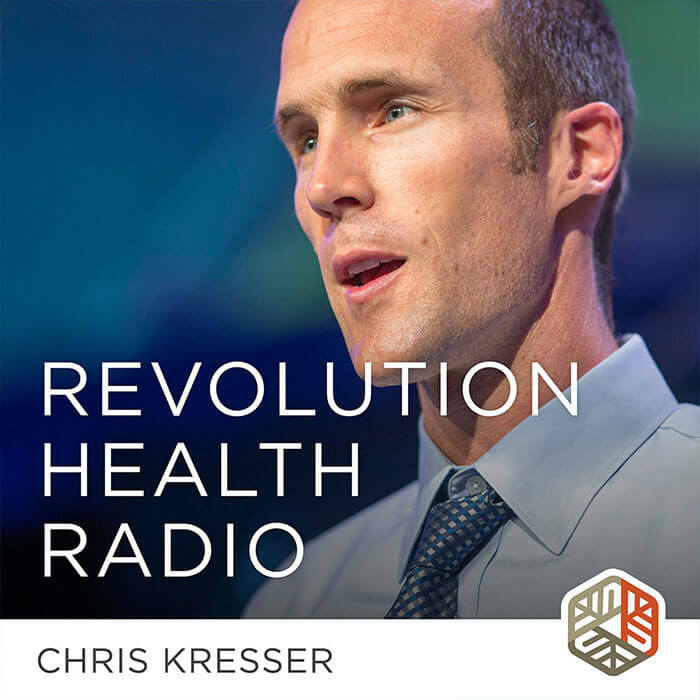 Chris Kresser: I think a lot of people who are listening to this might be surprised that that’s the way it hasn’t worked all along. Because that’s the way it works in most other fields. You have a certain performance target and if you meet it, you’re rewarded and if you don’t meet it, there’s some consequence. But that actually is not how it’s been going so far. Laura, I just wanted to touch base with you because I know the Heritage LifeFit Program that you’re working on is maybe a good example of this. I think some of my listeners are less familiar with the terminology we’ve been using. This might kind of help people to understand what this looks like in practice. Laura Conley: Yeah, so I’m actually kind of on the ground level working with people, and Heritage started this way ahead of their time, just kind of as an experiment. And I think it grew beyond what they even imagined because it started out as fitness classes at the healthcare facility. And over time it grew into a community of, “Okay, so you’re not just going to see your doctor, you’re actually going to take some fitness classes as well.” And then it grew into a community of really deep bonds and friendships where these people were changing their lives together. And so we really saw that this could be so much bigger than just “how do we get these people healthy and reduce their cost?”, but how do we actually change their lives forever in multiple areas. Not just in maybe chronic diseases like heart disease or diabetes, but also in their wellness scores of anxiety, depression, just how they were feeling about themselves and their happiness. So it really hit across all levels and it’s been fun to watch this evolution happen. But yeah, it’s kind of what we’ve been doing. Chris Kresser: That’s a great example. Yeah, that’s an amazing shift that’s happening. And Pat, you’re CEO of a hospital and so I think some people might not expect that a CEO of a hospital would be someone who’s actually looking at how the practice of medicine itself has to change and how we have to shift away from acute care towards more preventative, integrated type of care. So tell us a little bit about how you came to that realization and what you’re thinking of in terms of the future. Pat Charmel: Yeah, so, we have a pretty long history, and again, as Laura said, she was a little ahead of our time. And I think Griffin, my organization, was as well. We actually made a decision in the early 1990s to start our own health plan. Not because we saw having a health plan as a wonderful business opportunity; we just kind of came to realize the perversity and the currency for a service system. Now you have to understand, Griffin is a relatively small hospital. So in the fee-for-service environment, we don’t have the leverage that, say, a large academic medical center has or a large system of possibles when it comes to negotiating with, say, commercial payers who if you have that leverage, you get paid more. We didn’t have that, so we get paid less, significantly less, and many of your listeners don’t realize that the rate that a commercial insurance company contracts with a hospital for a specific service varies by hospital pretty dramatically. So in a single market, what most of it is is case rates, and the case rates are paid by diagnoses. So what a health plan or a commercial insurance company pays a hospital in a market for, say, a pneumonia admission may vary from, say, $7,000 per case for the lowest-paid hospital in the market by that insurer to $14,000. Twice as much. Pat Charmel: With essentially the care of the exact same condition. And often times the lower-cost hospital is the independent community hospital, less complex, but they produce a better patient experience and a better outcome. Getting paid half of what the highest-cost hospital in the state was. And because we lack that leverage, the margin on our business is razor thin. And we recognized also that there’s perversity in the system. We were paid to wait for people to get sick, the sicker the better. And then when they showed up being sent to us to (audio cuts out 23:48), I like to say whether they need it or not. But I don’t want to be righteous about this. If I was that large academic medical center CEO who had the leverage to get high rates, that I would have been so enlightened about the perversity of the system. Pat Charmel: But I was, so our team decided to … the way to address this is to actually go upstream and control the premium dollar, own your own health plan, and then once you have that premium, decide how you want to spend it. And frankly, if you spend it on prevention and wellness and good primary care, as a health plan you could win, right? Because you’re collecting the money up front. So that’s what we did. Now what we didn’t realize is how difficult it is to run a health plan. And I won’t get into that. So it was a great idea poorly executed, and it didn’t work financially for us. But it put us on a different path, and it was really because of our underlying philosophy about we really should be engaging patients and make them partners in their care. And this is what you’re hearing form Laura, she’s actually doing this. Pat Charmel: And a partnership to keep them healthy or if they’ve already got an underlying chronic condition, how to manage that condition effectively to improve the quality of their life. So we began to do that and we built all kinds of infrastructure around it. We’re a teaching hospital. Most teaching hospitals who teach graduate medical students usually treat them in traditional internal medicine. And most of that training happens in an acute care setting, and a lot of it in an ICU. So their mindset is wait for people to get sick, the sicker the better, and then take really good care of them. And we did that. But we decided in addition to internal medicine, which we changed the focus to community-oriented primary care training within internal medicine, we took it one step further and said, “Why don’t we actually train graduate medical students in preventive medicine?” And we did that 15 years ago. We started a preventive medicine training program, and they were fairly rare, and still today they’re fairly rare because when … why would a physician who’s looking at the current incentives in the healthcare system want to be trained in preventive medicine? Nobody was rewarding that. In fact, you might be the medical director or the director of a local health department, or maybe you would get into occupational medicine and work in an employer health clinic. But for the most part, there were no jobs for these people. Pat Charmel: So we did it anyway, and we developed a prevention research center that CBC funded, and we’ve developed lots of capabilities. Well, I like to say now that our preventive medicine residents are the rock stars of the healthcare industry. As our industry’s beginning to change with a focus on prevention and wellness, and there’s move to value, all of our residents have agents representing them. Chris Kresser: Right, in the highest demand. Getting recruited. Pat Charmel: Right, so the food chain is being reordered. The people who were at the top used to be the proceduralists, who were really good at taking care of sick people. And now it’s people who have this capability. So we’ve had to move here before the incentives were there, and partly because who we are, what we believed in philosophically, the disadvantage where because of our size … And so we are one of those organizations because we have these capabilities, we have the cost structure, we’re trying to move the market in that direction because it’s the right thing to do and it would advance us as well. And I’m trying to bring a lot of other more traditional providers along with us. And they also know it’s the right thing to do, but they’re having a struggle with the economics. Because if you’re successful in the short term and you aren’t in one of these risk arrangements like Vipul described where you’re actually taking premium dollars up front, you’re acting more as much like an insurance company as a provider. And there’s an inherent financial risk in that. If you’re mostly a fee-for-service organization, you build this capability and keep people healthy, you’re actually cannibalizing your business. Chris Kresser: Right, right. Yeah, you’d better have a new model for that. Pat Charmel: And if you don’t have large reserves, how do you do that, and why would you do that? Most of these arrangements, and I have these conversations with colleagues all the time, the federal government is trying to create incentives through the Medicare program to push providers along this continuum more toward value-based care. And we’re doing some things here in Connecticut where we’re getting out to employers who are mostly self-insured, who didn’t realize, by the way, that their health plan that’s administering their self-insured program pays between $7,000 and $14,000 for the exact same care. That was kind of a mystery to them. And now they’re saying, “Maybe I can change my plan design. Maybe I can look for those enlightened providers who will partner with me and my employees to keep them healthy.” But again, we’re in the early days of this. Chris Kresser: Now that’s just a really big sea change that I want to highlight right here. In my book, I shared a statistic: it costs about $14,000 a year, from a few studies I found, to treat a patient with type 2 diabetes. So it becomes clear that even if you have to spend a little bit more up front in preventive care and intervening earlier on that spectrum when the patient has high normal blood sugar or even prediabetes, and you can reverse that so that they never develop type 2 diabetes, you can save an enormous amount of money over the lifetime of that patient. But what that requires is not waiting until the patient develops type 2 diabetes and ends up in your hospital or in the doctor’s office. It’s actually going out and making contact and being proactive in engaging, creating new programs where these preventive efforts can become effective. So anyone, Vipul, Laura, Pat, let’s talk a little bit about this shift. Because it seems to me that that’s, from a 30,000-foot view, one of the biggest shifts that is happening and needs to happen. Because historically in this country, I think we have had a, like you said in the start Pat, we have had a “sickcare” system where people just think of the doctor as a place to go only when they’re sick, not as a place to go to get healthy or to prevent getting sick in the first place. So what’s happening now, and what do we need to continue to do to drive this forward? Pat Charmel: Let me just give a little additional context, because I think it’ll enrich the conversation. So we do a lot of comparison between the U.S. and other industrialized countries, and it is true that we are spending a much larger percentage of our GDP. And on a per capita basis, spending twice as much as the average of other industrialized countries. Pat Charmel: But what we don’t talk about is that the U.S. spends a whole lot less on social service support per capita than other industrialized countries who have better health outcomes. And so if you look at the combination between medical spending and social spending for us and the other industrialized countries, we look pretty good. Because we have this huge spending on medical and a little bit on social services. You combine them and we’re good, and we’re obviously better than the average. But if you look at social service spending as a percentage of total healthcare spending, that’s the combination of health and social service spending, we’re last of any industrialized country. Pat Charmel: And most of what you were just talking about, what can we do differently to manage somebody or prevent the progression of disease or help people develop healthy lifestyles so they don’t even get the precursors for something like diabetes, we’re going to have to spend much more money on social determinants. Pat Charmel: Here’s the rub. Where does that money come from when, as a nation, we’re already spending too much money on traditional medical care? There has to be a resource reallocation. Now the people who are doing this wonderful work like Laura and local social service providers, when I say “resource reallocation” to them, they love it. When you say that to a bunch of hospitals and traditional medical providers, they’re thinking, “Oh, my gosh, you’re saying taking my resources and giving them to someone else.” That is a huge … that’s one of the huge challenges. So are we willing to build that social service infrastructure? In my community, we’re beginning to invest in that, basically looking at who’s got the capabilities. We’ve been doing this work in obscurity with under-resourced social service providers, who in partnership with medical providers can actually begin to make a difference. And that is something that we, from a policy standpoint, are going to have to really focus on. But a lot of people don’t want to have that conversation. Chris Kresser: I get it. I can see why. Vipul and Laura? Vipul Vyas: I was just going to suggest to reinforce Pat’s point, when it’s New Year’s Eve or New Year’s Day, when people are doing their resolutions, very few people think about the healthcare system when it comes to, “I want to change. I want to transform. I want to improve my health.” It doesn’t really exist for the provider today and that’s what’s got to change in terms of engagements. So that people perceive the provider as engaged in their health. And that shift happens, I mean if you look at other industries, can you imagine, like, FedEx used to just be about shipping packages, but surely transformed beyond that to being a logistics provider. It’s more ingrained in your day-to-day life for a small business. Banks used to just be where you put your money. But now they try to take an active role in managing your whole financial life. So these transformations have happened in other industries and can happen here. But it’s going to be an evolution. There’ll be a lot of experimentation. I think what you see happening with Laura’s program, and I’ll let her comment on it a bit more, is that the Victor Valley system is actually viewing their patents not as just patients, which as a word has a horrible connotation, but as a member, and members work for additional privileges beyond the traditional care. They also get access to these resources, all the services are free, the fitness passes are free, the engagement is free, the education is free in terms of how to be healthier, and how to transform yourself, and that comes along as a perk. And that is a first step conceptually, just like FedEx went from just shipping packages to giving people pick and pack, shipping software, and logistic software, so that they’re your logistics company. Or Amazon has gone from being just a place where you buy books to kind of where you get everything and anything for your household, the same way Victor Valley and what Laura’s doing sort of represent the start of that transformation as well. Chris Kresser: Yeah, Laura, what did you see there of the transition from when it started when it was just a fitness program to where it is now? I mean, was there resistance along the way? How was that in your organization? Laura Conley: Oh, yeah, definitely. So in the beginning, it was purely just fitness classes, and we grew with time. But one of the things that really built it was we told our members, bring somebody with you. Drag a friend in here with you. Literally, they sometimes had to drag. And the resistance in the beginning was really high, but then over time that touchpoint kept increasing, and okay, they would bring a friend, they’d bring a family member, and they would eventually start working out with us. And what happened that we all know is, you start to get results. And results actually build motivation. So the more results they started seeing, the more motivated they became. And then other people within the community started noticing, and then the question became, “What are you doing? How did you change so much?” And the answer shocked people. Well, going to my healthcare facility. And in the beginning, the first two years, it was completely open to the community. So you didn’t even have to be a member of that healthcare facility. You could just be a member of the community and come take any fitness class for free. And then eventually we built it into, okay, now let’s have you switch over and become your primary care doctor as well. But really, it just took the community slowly building on itself of one person would bring in one friend, and maybe they’d bring in a friend. And then the relationships grew and the camaraderie of doing these workouts together—I’m sure we all know, misery loves company—and you’re going through a hard workout, but you have these people next to you that are all pushing through together, and you build a relationship that’s really strong. And I think that that just organically grew on its own in addition to providing really good educational resources like free cooking classes and women’s seminars. And just the more we offered those and opened those up to the whole community, that’s what really brought everybody in and brought them together. Chris Kresser: That’s interesting. I can’t help thinking that the solution, we need a multi-prong solution here, and I’m a small employer myself, about 35 employees across a couple different companies. And what I’ve noticed, I’ve been thinking about this just in my own small scale for a long time, we’ve taken a lot of steps to create a culture of health within the company, and ways that we support employee health and wellness, everything from offering health coaching and mindfulness to having an environment where we do challenges, start to do challenges where people are getting together and accomplishing their health goals and cheering each other on and using that social support. And I know, the whole corporate wellness conversation is another big one, and there’s a problem with adoption, but I think that for a lot of people, they spend most of their time at work. Their employer is their payer, especially if they work at a big self-insured company. So it seems to me that that’s got to be, employers, especially large employers, getting smart about this is going to be one of the big drivers of change, or should be, at least. Vipul Vyas: And I think, Chris, to that, Pat can comment on this further, but I think it is a three-part solution in terms of the payer, the employer, and the provider all have to be rowing in the same direction to create transformative change in society. Because if you think about modern life, it’s really geared to incenting you to be quite unhealthy. In terms of stay up late and binge-watch TV, binge-eat food, be socially isolated by just focusing on your phone all day long, all the construct of modern life is really pushing against you. So we need all those other entities to be rowing in unison and aligned to push back against those forces. And it’s going to be a challenge. I mean it can be an amalgamation of lots of small things, where the provider works with the employer to figure out how to make a healthier environment in terms of stand-up desks. Little things that just sort of in aggregate, add up and cumulatively make an impact. Vipul Vyas: I think that’s probably the path that’s most realistic. And to your point, work is where people spend most of their day, so that’s where things likely have to start. Chris Kresser: So I know all three of you have been engaged in some interesting examples of this. Pat, I’d love for you to share a little bit about new partnerships between healthcare systems, employers, and payers that you’ve been experimenting with. I think you and Vipul and maybe Laura have been working on something together. Pat Charmel: Yes, yes. And just to comment on sort of employee wellness programs in the workplace, they were, they are sort of enjoying a bit of a resurgence because I think that comes with the understanding. It’s a little bit more comprehensive this time and connected. So before you had employers who were aligned who understand what you understand, but were doing what they did sort of in isolation. It really wasn’t a partnership with the provider community or the payer. So if you had something at work, for instance, that employee’s primary care physician really wasn’t aware of what was happening at work, wasn’t necessarily encouraging participation. Certainly the payer wasn’t aware. Most of the approaches now that are real successful are where all of those are working together. And we actually have programs where we can help employers incorporate physical activity throughout the day into the workplace. We’re also helping them identify who their employees are that have underlying chronic problems that need to be managed more effectively. And as you say, most people, their waking hours are spent at work. The effectiveness of the interventions are tied to what’s happening at work as well as at home. So that wasn’t happening before. You were doing what you were doing and it was successful. The level of engagement varied by employer. But we all need to be working together to do that. So, for instance, Vipul has been helping us build the information infrastructure to be able to … everybody who’s doing this work together knows what’s been done throughout the system and knows everything that we need to know about that individual to keep them on that path, to either more effective disease management, or to help them move to healthier practices, a healthier lifestyle. So the integration of this workplace wellness into the overall approach of health management, or disease management, if you want to call it that, is critical. And it starts, it starts early on. We are actually bringing a large employer into our sphere as we speak and we’re starting to do so to baseline engagement with the employer and the employees. Everything from biometric screening to workplace assessment to developing a platform for education and coaching. Again, it’s a much broader approach, where all of the pieces are connected and we can monitor progress. And then the employer can build in the right incentives to motivate the kind of behaviors that are going to bring about success. Chris Kresser: So in that case, Pat, is the employer also the payer? Is it a self-insured company? Or is there also an insurance company involved? Pat Charmel: There is an insurance company involved. It happens to be one that we are partnering with with in sort of an accountable care relationship. But this is a self-insured employer with that payer as the administrator of their health insurance program. Chris Kresser: So that’s an interesting example of how this, all of the various players are realigning in a way that I would imagine serves everybody’s interests. I mean, what, is everybody happy in that arrangement? Is the payer, I don’t know as much about this, but I wonder if a payer is happy to be … “relegated” might not be the right word … but to the role of just serving as the administrator rather than taking or playing a bigger role. Pat Charmel: Well, I think Vipul said earlier, and I’ll let him address it again, the payer doesn’t necessarily mind being the administrator of the self-insured program role, because they’re not taking financial risk taking, they’re not taking insurance risk. As long as they’re getting enough margin on playing that role of administrator. But they see what I just described as the ability to develop a comprehensive program as they’re differentiated. Now they were moving toward sort of a health-promotion, keep-people-healthy model. There are folks who could process claims a lot cheaper. If you were just serving that administrative function, you’re going to get marginalized or commoditized. So what they’re saying is the way we differentiate ourselves or add value is to be that integrator. Not that we’re going to provide the care delivery piece of it ourselves or the health promotion. They tried that before. And the problem with that is, consumers don’t want to engage with their health plan. They don’t trust and they don’t have a relationship with their health plan. But the enlightened payers are now partnering with providers and say, “Look, we’re going to admit that we’re not really good at that. But we’re going to find the people who are really good at that, and we’re going to build the infrastructure and the glue to sort of make that really effective.” So there are a couple of payers that have really stepped up to look for providers like us in true partnerships. And we’re still finding our way, but … and then also stepping forward together with the employer and their employees in ways that have never been done before, where you have both the employer and the provider, excuse me, the insurer and the provider talking to the employer and their employees. And so they’re trying to get their engagement and build their trust, and provide them with the information that they need to make intelligent decisions, which also has never taken place before. As a self-insured employer who used to pay a lot of administrative fees through the health plans to administer our program, who told us they were managing our patients with serious underlying disease, the fact of the matter is we never got actionable information, and frankly we didn’t get, we never got the information that we need. So even though we knew that we might’ve had, out of 1,200 employees at the time, 300 that had serious chronic problems, what we heard from the health plan is, “Well, we have disease management programs,” but when you really push them and say how many of our employees and their spouses are actually engaged in those programs, and we would find that it was maybe less than 10. Pat Charmel: Now we’re saying to the provider and more so the physicians, especially primary care physicians who have a relationship with those employees or those consumers, we need to build capabilities around them because they’re the ones that are going to bring about that engagement. And if we have things happening in the workplace and we have the right incentives so employees actually participate, they’re actually engaged, we’re going to get the kind of results that we’re looking for. Chris Kresser: This is so fascinating. I wish we could keep going. We only have a couple minutes left here. You touched on the social determinants of health earlier, Pat. And I just wondered if you could say a few more words about that because so often, at least within the functional integrative medicine discussion and for now, since it’s not really integrated into our conventional health system, it’s really limited to people who are middle class, upper middle class and above. It’s quite expensive and yet if we, as we said in the beginning of the show, if we want to have an impact on the population health scale and really bring everyone along in this movement, we need to be thinking about things in a different way in terms of just the shocking number of people in this country that don’t even have access to fresh food. And just even the basic things that are required for health. So can we talk just about this for a couple minutes as we close? Pat Charmel: Yeah. So we’re in a suburban community that most people look at the community and say this is a middle-class community, a working-class community. But when we did a study recently, we found that about 40 percent of the households in our community don’t generate enough income as a household to meet essentially the basic needs of that household. So when you look at poverty, those numbers may be 5, between 5 and 10 percent. But when you’re looking at almost 40 percent can’t meet the basic needs of the household, so what suffers? So food, the quality of their housing, their ability to pay for traditional medical care now that we know that folks are paying $0.42 out of every dollar. They may not have adequate transportation, and it sort of goes on and on. So what we recognize, if we really are serious about keeping populations healthy, we have to address the needs that come as a result of the fact that 40 percent don’t have the resources. So we’re looking at housing insecurity, we’re looking at folks that have … the quality of their housing too. It’s not folks that, we’re not looking just at, obviously, at the homeless, so we have a huge problem with pediatric asthma in this community. And we truly believe that it’s tied to the quality of housing. So we have problems with homes that aren’t air conditioned, we have lots of homes that have mold problems, and folks can’t afford to do mold remediation. They could be in rental properties where we have landlords who are not addressing those problems. So they have code violations that are not being addressed by local governments. So do we have to intervene there? How are we dealing with the issue of people who can’t afford food, or nutritious food? We’re dealing with that as well. We’re addressing issues of transportation. We’re trying to get at the underlying causes of that, which are the inadequate household income and looking at things like job training. And how can we get people to sort of progress and build the skills they need to increase household income? Now you’re talking about a traditional healthcare provider looking at all of those issues. Pat Charmel: So we’re actually now beginning to actually say, “Hey, what is it going to take for those organizations to create the capacity to meet the needs that we’re screening for and referring?” And it’s a little daunting because the economics of our business model don’t necessarily support that yet. But that’s the reality. And in many parts of the country, there are providers who do not want to go here. They know intellectually that it has to be done if we’re really serious about managing the health of populations, but do they want to take on the social support burden that comes along with it? Chris Kresser: The full scope and complexity, and everything that … yeah. I mean, what occurs to me as you were talking is in holistic medicine or integrative medicine, we recognize that you can’t just treat one part of the body without treating, addressing the rest of the body. Everything’s connected. Well, it’s exactly the same with this healthcare situation. As you’ve pointed out, we can’t just address how care is being delivered, and providers and payers, we actually have to think about the social determinants of health and really pay attention to those. Because if we leave that part out, no matter what changes are made elsewhere, they aren’t going to be effective because if someone can’t afford to buy the healthy food or they’re living in a house with terrible indoor air quality, then we’re going to be starting from 10 steps behind. So it’s really illuminating and it’s just a, to me, an invitation or a reminder that we really have to be approaching this and thinking about it systemically. And I just want to say kudos to you, Pat, for providing an example of how this can be done. I think it’s incredible what you’ve accomplished at Griffin and the way you’ve been thinking about this for several decades now. And I’m really grateful for your time and willingness to come on and share your vision with us. And Vipul and Laura, thank you so much as well for being here and for all the work you’ve done in this area. I’m excited. I mean it is a little daunting and overwhelming on the one hand, and on the other hand, it’s exciting to know that these changes are taking place and that everyone has a role to play. There are a lot of different ways that people can contribute to this effort. Chris Kresser: Okay, everybody, thanks for listening. Hope you got a lot out of this show. Remember to keep sending in your questions to ChrisKresser.com/podcastquestions, and we’ll see you next time. Vipul Vyas: Thank you, Chris. Chris Kresser: Okay, thanks everybody. What are your thoughts about the Functional Medicine approach to chronic disease? Do you think it has the power to change the way we treat long-term illnesses? Comment below and let me know.